I've started a mini campaign to clean up some classics here, starting with Wide Eyed Wall. Hopefully by next spring we'll have rersurrected some neglected classics at this magical little venue. On a plus note, the leg-breaking excavations which occurred under Jamie's Overhang have been filled in with turf/pine leaves and the landing is now flat and bouncy... if anyone fancies a go at Surprise Attack 7b which is a superb dyno sloper problem. 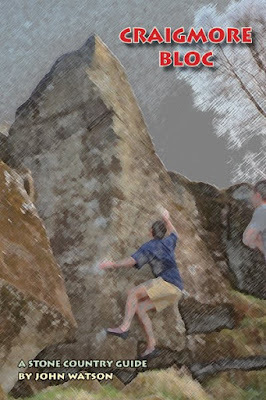 Also, anyone with any historical notes or memories/photos, please get in touch, as we're trying to bring together some history for this neglected local crag. Email John Watson. 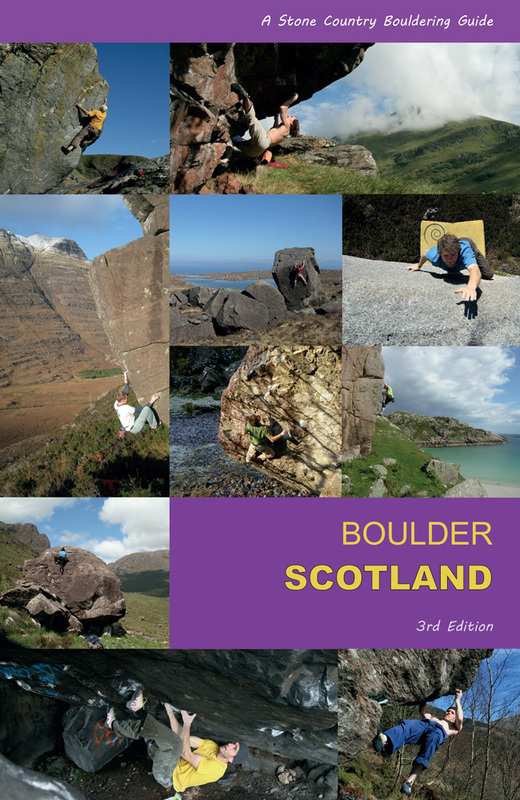 We are developing the main Stone Country site into a book, film and topo resource centre for outdoor activities in Scotland & Europe, with new Topos, DVD's and Books for sale in the shop. 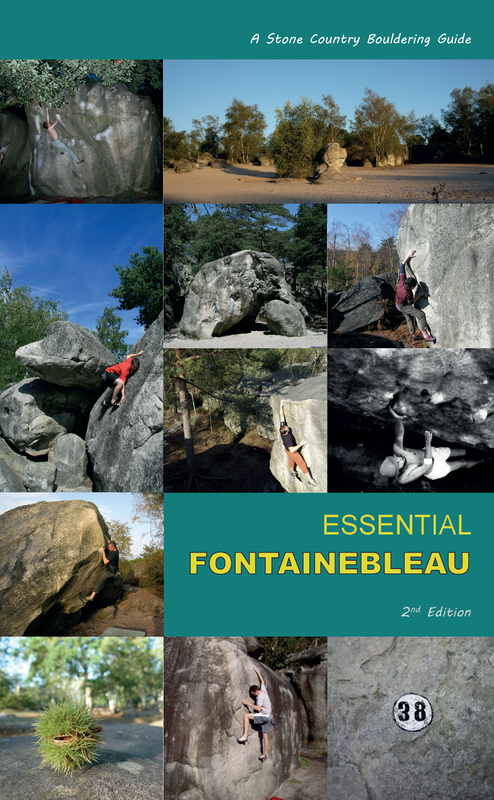 We are also keen for articles or topos on climbing or bouldering in Europe, so please send anything you'd like published to the edtior John Watson. We can design, price and host your pdf guidebooks, ebooks or articles on our site, so don't hesitate to send us any of those old topos you worked on years ago and we'll give them a facelift. The new edition of the SMT publication 'Ben Nevis' has been published and it's a real treasure trove for the Scottish climber! Ken Crocket has done a great job of updating his sections from the older edition and Simon Richardson has added an inspiring and knowledgeable section on modern winter development. The production levels of the book are tremendous, with full colour photography and illustrations on every page. It's the absolute bible on our biggest mountain and weighs in at a hefty but soild hardback of 416 pages. The book delves deep into the details of misty history and introduces us to an almost-lost character list of rum characters who have climbed on this mountain over the years. Early travellers and mappers are given due introduction and the early Raeburn years are given due credit for their technique and boldness. The book is divided into chapters just like the 'eras' of devlopment on the mountain: the Ben seems to go through fashions and modes like a shape shifter. It had its tweed era, its alpen-stocked brigade, it has had a step-cutting era, a rock era in the 70's and 80's and more latterly a hard mixed winter era... each chapter delves into the people who have coloured the mountain with their climbs. It ends suitably with Dave MacLeod's epic Echo Wall ascent, and it seems apt to a resilient Celtic nation to harbour the hardest logistical and technical rock climb on the planet. There are also welcome chapters on Geology, Industrial & Social Heritage, Mapping and Natural History which bring a more holistic touch to the book. It really is an essential buy for anyone interested in our highest and most dominating mountain and is a superbly produced tome that will reward with years of return reading. The photographs are inspiring and the stories are well researched and colourfully written. 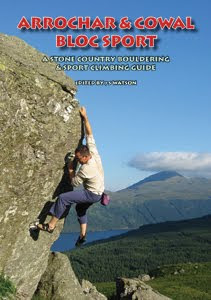 I'm selling copies on the main Stone Country site for £25.00. Each autumn brings two seasonal imperatives: Autumnwatch and the new Hotaches film. Unlike Autumnwatch, Hotaches give us adventures without wings. The art of a good climbing film, especially in this saturated media age, is to tell a good story. 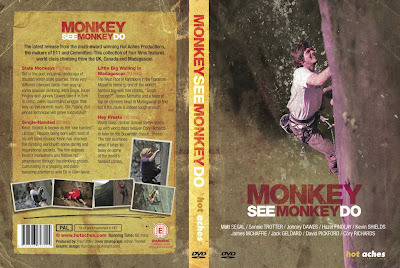 Any film-maker should keep this truism close to heart and Hotaches don't disappoint: the 2009 film 'Monkey See Monkey Do' is a collection of fantastic climbing tales, focusing closely on character and motivation. Every shot is saturated with the emotion of the climber, committed to telling the inner story as much as the wobbling, sickening 'real' world of the climbing. Some sequences in this film had me frozen in disbelief, particularly in the highlight of the four films: Single Handed. 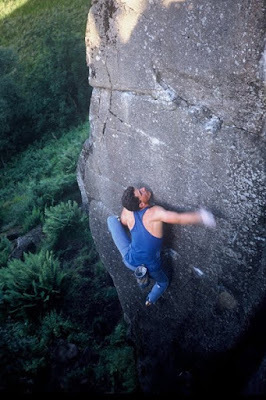 The first film is entitled Slate Monkeys and follows three very different climbers to the slate quarries of Wales. Matt Segal, Hazel Findlay and Johnny Dawes attack a classic slate route with a heady mixture of youth, canniness, experience and sheer improvisation. It is no accident that there are echoes of Stone Monkey and some of the sequences of Johnny 20 years on, smearing up a slaty chimney, palming and warping himself into the rock are nostalgic and timely. Talented American climber Matt Segal bubbles with awestruck enthusiasm over his hero 'Janny' while Hazel climbs with a boldness and suppleness inspired by the original film. It is an engaging piece and some great close-up footage of marginal smearing and Elvis shuddering on this most notorious of rock forms. Film 2 'Single Handed' is the tour de force of this DVD and features Scottish climber Kev Shields and his struggles to overcome a hand disability to push his climbing limits. Not only does Kev have to work round a one-digit hand, but he has had to overcome the darker disabilities of epilepsy and depression. It is enlightening to hear Kev explain climbing as a way out of these restrictions and it is encouraging that he found the strength to make committing decisions despite emotional and physical compromises in his life. Kev refuses to accept the restrictions of being a 'disabled climber' and he sees in it the opportunity for highly creative climbing. 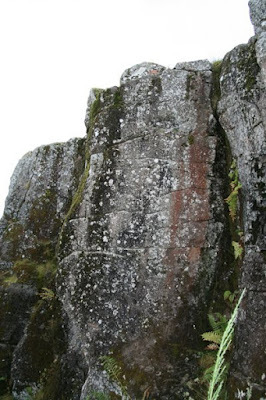 This is what makes his climbing so inspiring - it's his creativity on hard routes in Glen Nevis and the Peak as he adapts and improvises to overcome what some would state as impossible. His technique and balance is a delight to see on film and his commitment goes beyond most climbers' ideas of rational limits. The sequence as he commits to a Glen Nevis solo is a truly brave step as we realaise for Kev climbing is an irreversible decision. Well done to Paul Diffley on the production of another superb Hotaches movie. Great editing, soundtracks and bountiful extras - including the superb Firestone E7 solo by Kev Shields, which will make your eyes sweat!! The film is available now on Pal DVD on our main Stone Country site (BUY HERE). It's inspiring stuff and guaranteed to make you wish you'd done more over the summer! If a climbing film is judged by what it inspires, then this one lights the flame within.